The long awaited return of Tiger & Woods! 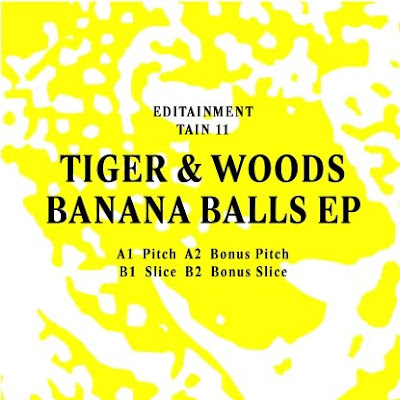 Editainment’s top team and most dynamic duo are back with the “Banana Balls EP", which features two uncontrollable tracks, spiced and sliced and with additional bonus mixes for your dancing pleasure and in Tiger & Woods' signature style. "Pitch" is based on sampels from Melba Moore - Mind Up Tonight, is a boogie-disco number with peak-time floor-filling ambitions - funky guitars, tasty bass, sweet female vocals, all chopped and looped into disco oblivion.